Millions of people die prematurely of indoor pollution and other consequences of energy poverty. But there is a way to empower the powerless: with renewable energy microgrids and decentralized technologies. The revolutionaries of yesteryear never dreamed of the scientific and technological innovations that could light up distant shelters and communities in the darkest corners of Earth. We are on the cusp of an energy revolution that has the potential to improve the quality of life for the world’s most disadvantaged and poor. Distributed-energy technologies such as micro-grids can provide an electricity-deprived citizen with power — and the ability to create income. This pathway to power delivery is a disruptive force that will forever change the relationship between electricity user and producer. It makes it possible for a citizen with little capital to bypass the heavy hand of bureaucracy and authoritarian dictators. Distributed energy empowers the powerless. These decentralized energy systems give households the ability to negotiate directly with energy entrepreneurs and access electricity on a pay-as-you-go basis. Since 2010, we have witnessed dramatic declines in the cost of key energy technologies: 95 per cent for LED lighting, 60 per cent for solar PV and 75 per cent for battery storage. In addition, these components of distributed energy, when integrated with information and communication technologies (ICTs) — sensors, devices and wireless data transmission — enable payments to be made with phones over vast distances. Thanks to the smart integration of energy resources at the local level, it’s now possible to deliver energy services to a home from stand-alone solar systems, or to combine it with mini-hydroelectric systems or battery storage to meet the needs of a small business or farmer. Traditionally, electrification has occurred by extending the electrical grid. But this has not been effective for populations that are geographically, economically or politically isolated. With the low costs and improved performance of distributed energy technologies, there is an unrealized opportunity for positive social change by drawing the poor into the economic mainstream. Decentralized energy systems are modular, less complex and readily transported. Thus, they can be adapted and scaled to provide different levels of service for unique needs. The revolutionaries of the 1960s certainly never imagined a solar-powered suitcase that provides critical medical care to help reduce child and maternal mortality. Energy poverty stalks a third of humanity — some two and a half billion people do not have access to electricity or modern energy services. The International Energy Agency predicts that more than 600 million people in Africa will need to be served by off-grid renewable solutions by 2030 to meet the UN goal of universal energy access. By 2040, two billion people globally will lack electricity and access to modern fuels for cooking such as natural gas. The number of people living in extreme poverty and those who comprise the “proverbially poor” (subsisting on less than US$2 a day) have remained constant from one decade to the next over the last four decades or so. In Africa alone, energy sector bottlenecks, power shortages and a lack of reliable power cost the region two per cent to four per cent of GDP annually, undermining the prospects for sustainable economic growth, job creation and income opportunities through lack of investment. The UN Sustainable Development Goal 7 — a call for action to improve “access to affordable, reliable, sustainable and modern energy for all” —may simply remain an aspiration. If we focus on extending the electrical grid, as we have in the past, we are not on track to meet the goal. Instead, we need a significant commitment to new investments in distributed energy systems, combined with scientific and technological breakthroughs to improve affordability, by an order of magnitude, if we are to scale-up these technologies rapidly. The vicious cycle of energy poverty begins with the lack of access to affordable energy. Those who rely on traditional fuels, such as firewood, must spend several hours each day collecting fuels. This burden falls disproportionately to women and children, and it robs them of education and income-generating work. The use of these traditional fuels has additional consequences. Tragically, 600,000 Africans are killed every year by indoor air pollution caused by the use of firewood and charcoal for cooking. Women and children are the primary victims. What’s more, collecting firewood for producing charcoal is the main cause of deforestation in many parts of the world. According to estimates by the World Health Organization, indoor air pollution leads to four million deaths annually, exceeding the toll of malaria, tuberculosis and AIDS combined. Energy poverty reverberates in other ways as well. In Nigeria, 36,000 women die in childbirth each year because lifesaving medical care is hampered by a lack of lighting. Across Africa, a lack of electricity prevents children from doing their homework, and in several African countries, more than 80 per cent of primary schools have no electricity. Innovations such as a backpacks with solar panels that absorb energy during the day to power a lamp for a few hours at night hold promise for these school-aged children. The potential benefits of electrification for those without service are quite high. When households switch from kerosene lamps to electric light bulbs, they gain 100 times as much light energy for reading, studying, cooking and cultural activities for the same amount of money. Providing electricity to more than two billion people within two decades is a daunting prospect. But emerging innovations in distributed energy technologies, combined with advances in the information and communication technologies (ICTs), including sensors and control devices for “off-grid” systems, make it possible. The transition from zero electricity access to a minimal level of access can give a person light. Light is the link to education and education is the link to empowerment. Access to a cellphone, radio and TV shapes an individual’s connectedness to the larger community and the global knowledge base. A stand-alone solar home system can handle these tasks. Micro-grids are the next rung up on the ladder of energy access. They can power fridges, fans, a lathe, irrigation pumps, sewing machines and milking machines, and open pathways for income-generating opportunities. These off-grid energy solutions hold enormous promise. They give communities the opportunity to leap-frog over technological time scales and improve their access to clean water, health care, food production and transport. The back-breaking drudgery of time-consuming tasks such as firewood gathering for cooking and water collection can instead be powered by electrons tapped via solar, water or bio wastes. The big electrical grid has come up short in delivering electricity to the poor and the disenfranchised. Wireless mobile phone technology made building telephone land lines in emerging economies unnecessary. Decentralized energy technologies will do the same for electricity. The promise of ubiquitous connectivity through the “Internet of Things” is another disruptive pathway that can bring energy to those who need it most. Peer-to-peer transactions will alter business models and the economics of energy delivery. Blockchain technology is a recent example of how technology can empower individuals. The emerging scientific and technological revolution in the energy sector is upsetting the balance of power. With access to energy, the citizen is empowered and is no longer dependent on a central authority. 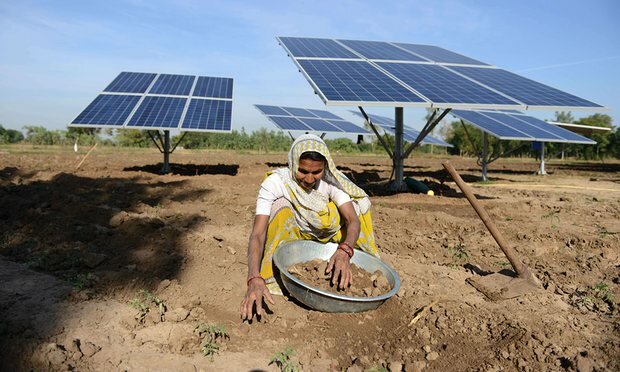 Low-cost clean-energy solutions and improved access to electricity can help bring the disenfranchised into the mainstream economy, possibly reducing migration pressures and conflict. The promise of energy sector decentralization as a democratic force should neither be underestimated nor ignored for long. There is another way to get energy and it is to request that your local government and national government put Wheelabrator plants in place. They create lots of electrical energy and provide other benefits as well.